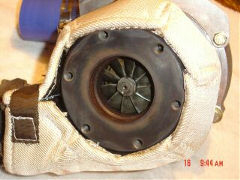 No matter what your industry or field of interest—whether it be auto, off-road, motorcycle or snowmobile racing or the aerospace or medical industries—if you have heat issues, we at the "Original" Thermal Protection Inc. have the technical knowledge and experience to solve your insulation problems and meet your specific needs. 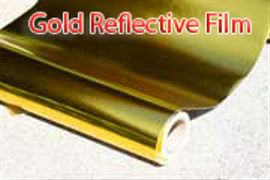 Our company is the developer and manufacturer of "The Original" Gold Reflective Film—a high temperature, light weight and fire resistant self-adhesive film. This product was developed in 2000 to solve a specific problem in the auto racing industry, but its usage has expanded to other racing venues and other industries. 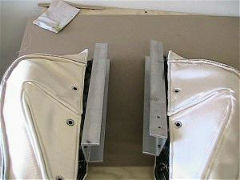 We also produce four other Heat Reflective Films / Foils / Tapes. 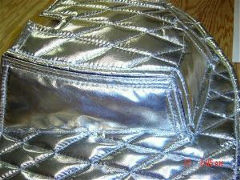  An extremely high-temperature Silver Reflective Film that can reflect up to 2000° F for short durations.  A Light-Duty Reflective Film that works well for temperatures up to 500° F to be used for firewalls, underneath seats, etc., for a low cost solution.  Two new Ultrathin Reflective Films (one in Gold and one in Silver) which are about 0.003 inches thick and weigh only about two ounces per square yard! To ensure you are getting the genuine product, make sure the film is 24 to 29 inches wide and has a white, fire, resistant adhesive instead of a clear flammable adhesive. This product line offers custom-designed solutions for heat issues and provides high temperature, highly efficient systems that are quick and easy to install and remove. These systems provide heat containment up to 2500° F with minimal added weight. We can also provide products to protect equipment from extremely cold temperatures. Visits: 233,781 Copyright © 2011. All Rights Reserved.